Up and moving in the cold dark morning, mumbling and grumbling to the shower trailer—eeeiiiich no hot water again—I shave my mug, put on the uniform, grab my weapon and head to work. Sometimes I get to use Skype to talk to the loving cave girl back home, sometimes not. So begins another day of the 375 all told that I’ll spend on the main forward operating base of the First Marine Expeditionary Force (Forward) in Afghanistan. Ever since Ogg first whacked Nogg on the back of a head with a rock, or sharpened a stick and poked him in the guts man has had to go forth and do battle with his fellow man—or provide a peacekeeping force to keep Nogg from killing some cave kids. Either way it was much different back then. Our caveman ancestors wouldn’t have waged war like this. I don’t think any of our ancestors would have recognized what they call the “food” which gets me through my day either. Each day I struggle to be a Paleo eater and get through another day. There’s little choice. It’s a combat zone. So what do I do? That’s what this little blurb is about. I’m at work for about an hour before I go hit breakfast, which is my most Paleo meal of the day. The big FOB I am on has a short order line for omlettes and eggs to order. It’s a blessing I didn’t have in my first few deployments. Although you’ve got to get your yolks cooked through you should just be thankful for the fresh eggs, unless you’re really militant about getting eggs over easy. Even thought I have no way of knowing if they’re organic or Omega-3 enriched these eggs don’t resemble US store bought eggs; the yolks are bright orange and the look incredibly rich. “Four eggs over”, I say it so much that my ‘Egg Guy’ sees me coming and doesn’t even wait for me to ask, he just pours out four and I move on to the fast lane to get a plate and meats. I go for the pork and beef sausage when they have it or turkey bacon if they don’t. Sue me, but I get those with a few pieces of pork bacon on the side. Fill the plate with cucumbers and carrots liberally drizzled with olive oil and black coffee and that’s the first meal of the day. Having mentioned I’m an over privileged FOB dweller I won’t bore you with the many chores and tasks making up the daily grind. Just suffice to say I’m in and out of meetings, huddles, board, working groups and staff actions all day. Don’t ask me the difference between any of those by the way—I don’t know. But I know that right before my 1200 daily staff meeting it is snack time. Snack time means a convenient meal replacement bar of some kind, also a kindness from home and the loving cave girl I’m missing so much. Power Crunch, Detour bars, Paleo Krunch bars, these have all had their place in snack time, but snack time is a must. Paleo?—probably not, but I’ll take the gluten hit and sugar bombs as a cost of doing business. 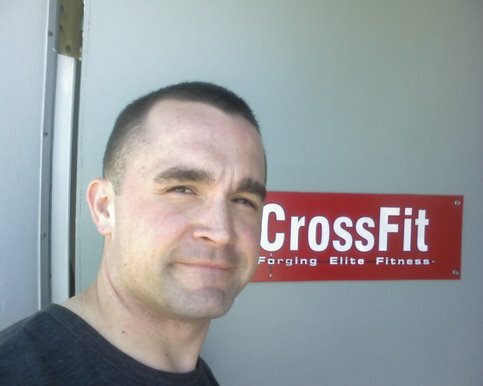 Directly after the meeting I sprint like kids leaving schools for the summertime break directly out to the CrossFit Leatherneck affiliate area to do a mid-day WOD. Snack time puts enough gas in the tank to get me through it. Right after the WOD I’m back at my desk nom-noming my way through a Primal Pac or a Paleo Kit, loving the grass fed deliciousness and usually adding a banana or some other fresher fruit which I’ve brought back to work after breakfast. • Sunday—steaks being barbequed all afternoon for dinner making a meat-cloud that you could follow from anywhere on base to the chow hall. Add cabbage, spinach or lettuce some shredded peppers and drizzle with olive oil to please the palate. • Monday, not a good night—pasta bar. I stick to the peripheries, maybe grab two burger patties or lunchmeat and make my salad and move on. • Tuesday is Oriental bar, though why they try to feed us rugs I have no idea. Same thing there, avoid the rice and heavy sauces I go to the short order and get a meat source sans cheese and make my salad once again. • Wednesday is seafood night, so if I see food, I eat it, in this case there’s usually seafood neuberg loaded with shrimp crab and indistinguishable fishiness. It has a cream based sauce and I'm sure it's loaded with gluten but it’s delish so I get a good deal of it. I also make concessions for the ‘bang-bang’ shrimp or “BANG!BANG!” as we yell when asking for it is fired shrimp covered in spicy sauce. I don’t want to know what’s in it and I know I’ll crave it from a long time once I’m gone. • Thursday is a slice of heaven we know as ‘fake mongolian’. Once upon a time they allowed us to do real Mongolian BBQ but the lines would go out the door as each person got to pile up cabbage, rice, beef, and chicken and then spice/sauce it themselves. It was deployed Paleo food from the gods. But the lines were too much for the masses and the complaints poured in—despite its being worth the wait. Now we get premade meat and veggies available in beef, chicken, seafood and pork. I usually get all four selections without rice, which always amazes our Nepali chow hall crew. Eat big to lift big is what I tell them, but I don’t think they get me. Namaste, my chow hall friends, and check out 70sbig.com! • Friday, of all things to rub in that we are not in the US of A, is wing night. There we go again with a burger or turkey salad bar delight and if I’m feeling froggy it’s meat for dessert with a bowl full of spicy wings to make my night—even without the beer I’d like to go with them. • Our week ends or repeats itself (depending on who you ask) with Saturday and Indian Bar, aka Curry night. I find it insulting that we call it Indian Bar since our chow hall workers are mainly from Nepal, but they make the most wonderful curry so I really couldn’t care what they call it. Admittedly they also make lacha parotha, a fried doughy flat bread to soak up the curry goodness. I look forward to the curry all week here. It’s all I can do to eat enough meat and vegetables, nuts seeds and fruit to keep all the bad stuff away. The military industrial machine brings us sodas and juices, cookies, cakes, pies and ice cream most days and nights of the week. Many of us fall prey to the bright and shiny sugar filled happiness offered by these plated parasites all too often. Even though I do my best to eat as close to the Paleo guidelines as possible there are just so many the concessions made due to food quality available and so many pitfalls pushed into my face day in day out of the deployment that it’s hard to even stay on the 80/20 path these days.